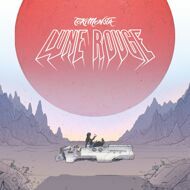 Tokimonsta’s sound has always kept one foot in the pop stratosphere, but Lune Rouge finds her diving in with glee. Her effervescent beats serve as the perfect framework for these gorgeous songs: Malaysian singer-songwriter Yuna weaves in and out of water-droplet tones and a stuttering chipmunk’d sample on lead single “Don’t Call Me.” The MNDR-featuring “We Love” serves up perfect summer vibes with aquatic synth stabs and an instantly infectious chorus. Featuring a searing vocal take from Selah Sue, “I Wish I Could” fuses the clean-sounding classicism of contemporaries like Rhye with a buzzing throb that embodies the modern cool of contemporary R&B—and “No Way,” with features from Isaiah Rashad, Joey Purrp, and Ambre, sounds lovingly ripped from the dusty glory days of 90’s hip-hop.